Instructions: Prepare a white card base 5 x 7". Layer it with a piece of the Floral Fashionista paper on top 1/4 inch smaller. 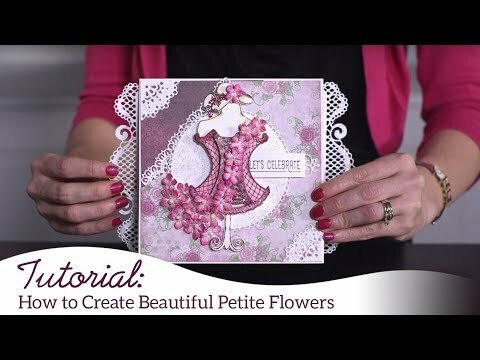 Using white cardstock, cut out the largest of the Album and Tags die, layer that with a piece of the Floral fashionista paper, add foam dots to both sides and bottom and adhere to the card. Die cut 2 of the large tags from the Ticket and Tags set, use the next size down and cut 2 of the tags from the paper collection, glue together, use the punch from the die collection and cut the hole at the top. Add the hemp string and slide in behind the large tag as shown. Die cut one of the Eyelet Rectangles out of white cardstock, stamp the sentiment using the Magenta Hue ink, add foam dots to the back and adhere to the card. Stamp the Corset on white cardstock with the Library Green ink, color using the Leaf Green and Magenta ink along with the Tom Bow Brush. Adhere to the card as shown. 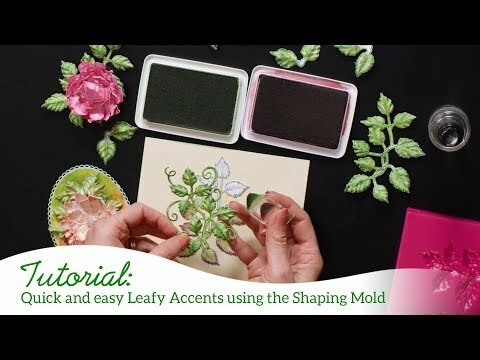 Stamp the leaves on white cardstock with the Library Green, color in with the Leaf Green, die cut using the coordination die, place in the correct mold and run through the die cut machine to shape. Stamp 12 of the flowers on white cardstock with the Magenta Hue ink, cut out with the coordinating die, place in the flower mold and run through the machine to shape. 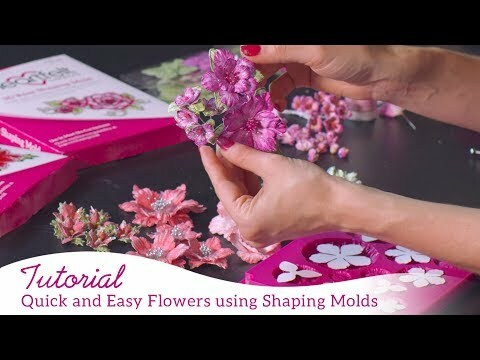 Use the Deluxe Flower Shaping tool to put a small hole in the center, add the Stamens using the hot glue. Adhere to the card, place the leaves around. To finish add glitter to all the flowers and leaves and the trim on the Corset.